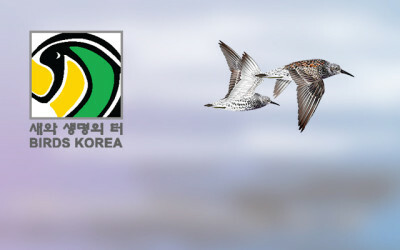 The journey from Mokpo over extraordinarily calm seas had nothing of note till a few km from Gageo when murrelets appeared by the dozens. Most of them were Ancient Murrelets with a few distant probable Crested Murrelets. The island itself was pretty quiet overall but it did have a few highlights. More on that later. First a few words on the changing scenery. Till last year, Gageo was a remote, far flung island closer to China and the Okinawa than to Seoul, that attracted birders and the more ambitious of anglers. But since then, there has been a steady trickle of more regular weekend tourist who brave the 4 hour long journey. This has given a boost to the local economy but I hope the island and its rugged natural beauty is left as it is – for the sake of the islanders themselves and also for tourists who seek the charm of a remote island. The once productive quarry region is already being colonized by construction machinery. 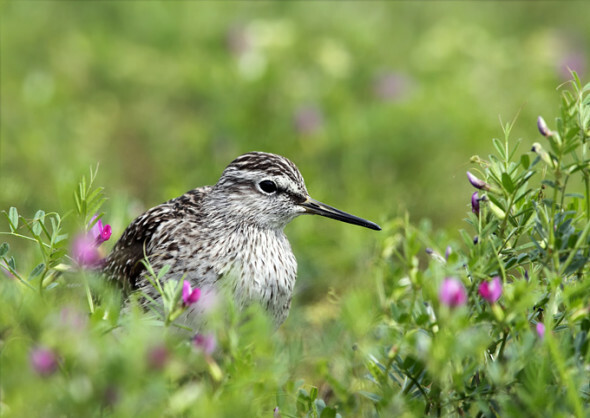 Back to birds …. the mossy slab had a Mongolian Plover, a Common Sandpiper and a Little Egret. There was a taivana Eastern Yellow Wagtail at the garbage dump. There was a steady stream of Red-rumped Swallows moving in from the east along with a supporting cast of Barn Swallows and Pacific Swifts. Raptors consisted of quite a few Chinese Sparrowhawks, a couple Eurasian Sparrowhawks and a distant Oriental Honey Buzzard. 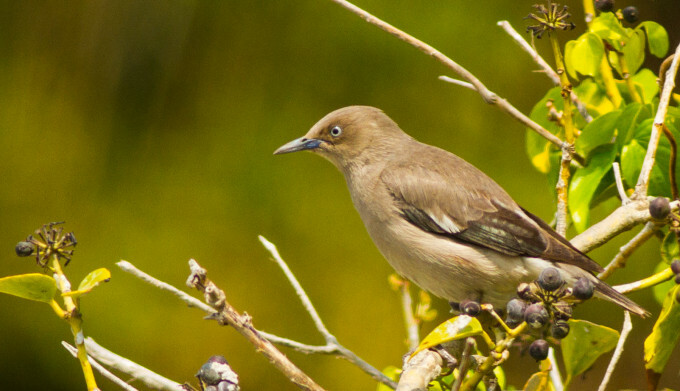 Around the quarry, there were a few Tiger Shrikes and Dollarbirds along with Light-vented Bulbuls locked in battle for territorial control with the Brown-eared Bulbuls. Coming down towards the village, flycatchers – mostly Grey-streaked along with a few Asian Browns were actively hunting. 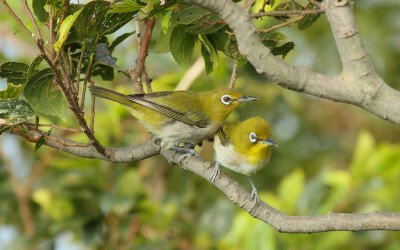 The Japanese White-eyes were also enjoying juicy caterpillars. 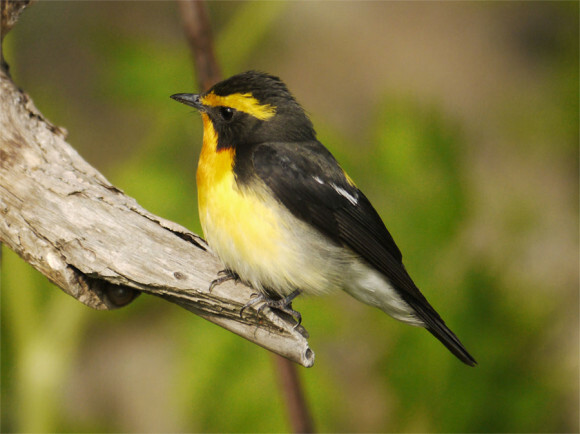 A few Arctic Warblers were also seen. 3 Richard’s Pipits were flushed from the fields in front of the pension, A few Chinese Pond Herons were seen flying around. Later in the afternoon, I slowly hiked towards 2-gu (greeted by a steady streams of tourists in high spirits returning from the lighthouse). On the road to the “pass”, there were some interesting birds on the wires. First was a group of 3 Black Drongos, followed by a flock of 15 Chinese Grosbeaks with a Daurian Starling . Once on the road to 2-gu, cuckoo calls became more frequent (though most of them remained unseen). An Amur Falcon was seen coming off the sea as also a hepatic form cuckoo (distant and silent). Common and Lesser Cuckoos were active near 1-gu while Indian Cuckoos were more common near the 2-gu village, Black-naped Orioles were also very vocal. 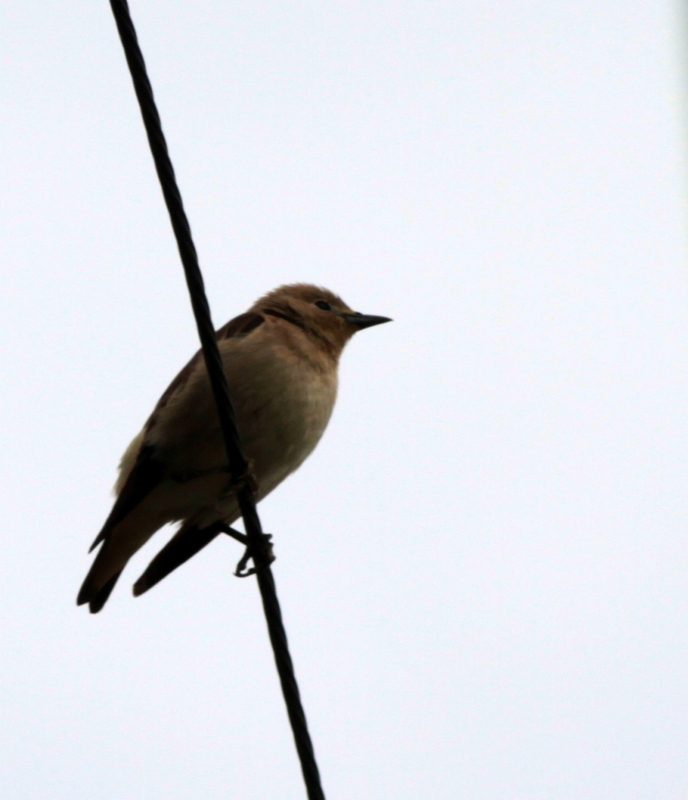 The Hangri village in 2-gu had a couple of Brown Shrikes, an Oriental Reed Warbler, a Dusky Warbler, a few Stejneger’s Stonechats and Dark-sided Flycatchers. I stayed there till about sunset and then retraced my steps to 1-gu. On the way back, the haunting calls of Black Woodpigeon (and the empty road) brought back the “old Gageo”. Well past sundown, close to the “pass”, an owl (most likely a Boobook) was seen coming off the see. It momentarily perched on the wires before moving into the forested slope. Next day I woke up before dawn to the sound of barking dogs. A Lesser Cuckoo was going berserk and the dogs seemed to be trying to mimic its calls (at least the tone)! Amidst this cacophony, there was a soothingly familiar sound. It took me a couple of minutes to realize that an Asian Koel is singing!! It continued to sing till about 05:15am and then went silent. I failed to locate it once it was light. On 24th, there were even fewer birds in evidence but a second highlight of the day came in form a Red Collared Dove seen on the wires near the garbage dump and later seen flying around. New arrivals in the quarry were a Chestnut-eared Bunting and a couple of Middendorff’s Warblers.